Over the past two years, Johnathan Webster has taken nearly 60 flights and successfully avoided one bane of airline travel: checking his luggage. Webster and his wife, Gizem Mut-Webster, have evaded checking luggage on flights since they backpacked through Europe in college. As students traveling on a restricted budget, they took issue with the stringent bag policies and punishing luggage fees enforced by many airlines. They began to brainstorm a clever solution: What if they created a luggage brand that not only looked sleek but could defy those policies? The result is Wool & Oak, a two-year-old company that creates stylish, modular luggage designed to get around airline bag policies. The brand’s most recent product, which debuted Tuesday, is a two-part duffel backpack that can neatly be disguised as a single carry-on item. Here’s what it looks like and how it works. Looks pretty much like a regular backpack, right? 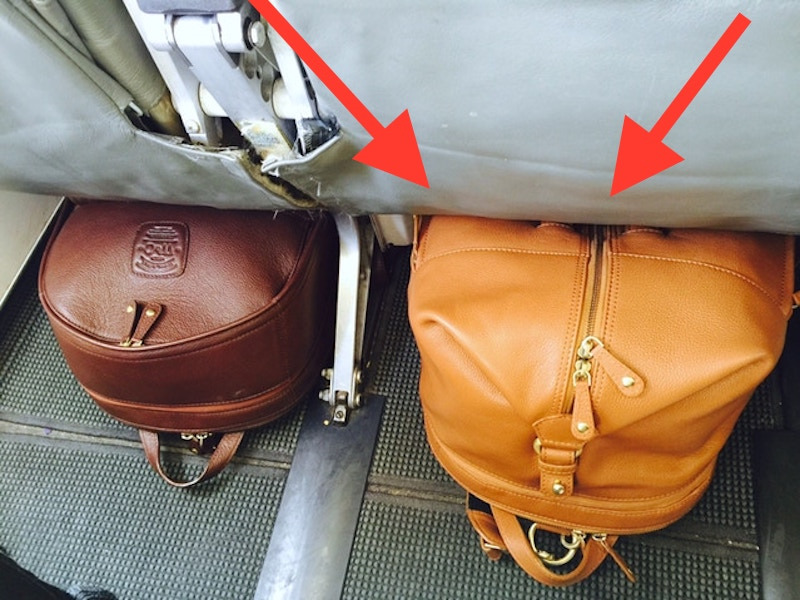 But once you’re on a flight, Wool & Oak’s bag handily unzips into two parts. Each bag has a set of zippers so the two can attach to each other. Here, Wool & Oak’s slim work backpack is paired with the larger day bag.